Founded in 1908 and part of one of the world's leading research universities, Yale University Press is one of the oldest and largest university presses in the United States. Based in New Haven, Connecticut, with offices in London, England, as well, the Press publishes more than 400 books annually in a wide range of disciplines, including art, history, politics, religion, literature, science, philosophy, and many other fields. Its foreign language program features widely used textbooks on Arabic, Chinese, Spanish, Italian, Hebrew, and French. 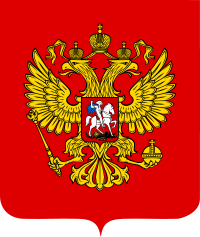 RGASPI (former Central Party Archive) is the chief repository of materials on the social and political history of Western Europe (1700-1900), Russia and the Soviet Union (1800-present), and the international labor, socialist, and communist movements (1860s-1980s). Among its holdings are materials on the French Revolutions, the Commune of Paris (1871), the personal funds of Karl Marx, Friedrich Engels, Vladimir Lenin, Iosif Stalin, as well as August Bebel, Karl Liebknecht, Henri de Saint-Simon, Pierre-Joseph Proudhon, Antonio Gramsci, Palmiro Togliatti, Ernst Thaelman, and many other revolutionary thinkers and leaders. It preserves the archive of the Communist Party of the Soviet Union, and documents of early socialist and revolutionary groups, Socialist and Communist Internationals and their affiliated organizations, social-democratic and communist parties, as well as contemporary political parties of Russia.